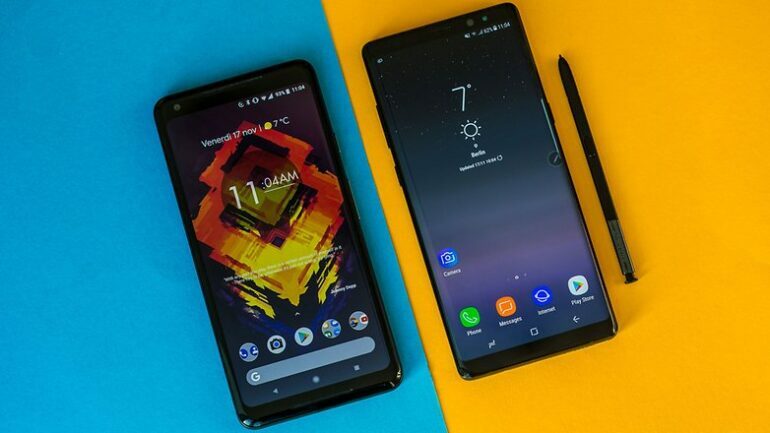 Back when it was released, the Samsung Note 8 was Samsung’s biggest, badest, and coolest new kid on the block and it reign supreme for a while, until, after a much-anticipated hype, Google released its Pixel 2 XL. When it comes about Android Phones, Samsung have always enjoyed the supremacy of sitting on top, but, when Google releases its Pixel Series, a worthy contender was born, giving Samsung a runs for its money, and with the Pixel XL 2 it has many features to compete head to head with the Note 8. The Note 8 from Samsung got the best of the best, the design got the features from the Galaxy S8 Series, like the curved glass display, granting the Note of an uncanny elegance, resulting in a massive glass display with practically no bezel in sight, the back of the Phone also has a curved glass and all of it is encased in a metal edge framing. The Samsung Galaxy Note 8 has a display of 6.3 inches, however, it doesn’t give you that big screen feeling that other models do, a possible reason could be that the Phone only measures 162.5 x 8.6 mm because of its trimmed bezels, and only weights 195g. The Google Pixel XL 2 does not sport the same savvy design as the Note 8 does. It may have very slim bezels but they aren’t as trim as the ones in the Note 8. The Back of the Pixel remains the same as its predecessor, with an upper glass section and a lower glass one. There is nothing wrong with the design itself, as it was very well praised, but, it remains much like the last Pixel, while the Note 8 was a bit more innovative. Both Phones feature fingerprint scanners on the rear, the Note 8 has his next to the dual-lens camera, the Pixel XL 2 has his almost in the middle of the rear of the Phone. The Note 8 is powered by an Octa-Core Qualcomm Snapdragon 835 and 6 GB RAM, the Pixel 2 XL does not stay behind and stands on equal ground with the same Snapdragon 835 and 4 GB RAM, but I’ll challenge you to find a difference in performance on either Phone.